Queensryche roared into Erie, Pa Saturday evening for the final day of the seventh annual Roar On The Shore Festival. Taking the stage to the screaming sound of their classic “Queen Of The Reich”, a song that has been absent from the band’s concerts during the past eight years. Perhaps former singer Geoff Tate’s take on the song is part to blame. Tate in a recent interview “For me I honestly can’t relate to the whole dungeons and dragons lyrical content of that song, its really cartoonish and juvenile to me,”. Those unsure about current vocalist Todd La Torre need not worry as he nailed the song and it set the tone for the evening. So as not to confuse everyone this version features original members guitarist Michael Wilton, drummer Scott Rockenfield and bassist Eddie Jackson along with guitarist Parker Lundgren. I remember speaking to guitarist Michael Wilton in 2011 and asking him about the setlist. You could tell something was eating at him then, a full eight months before the infamous Brazil incident. Being the professional he is, he composed himself and gave me a politically correct answer. Judging by the songs that were performed on the band’s latest tour dubbed Return To History World Tour, that was precisely what the band did as they are trying to rebuild the brand as they put it. The band dug deep into the vault and pulled out songs that were in seclusion for years such as “Prophecy”, “En Force” and “Child Of Fire” almost long forgotten, in fact I hadn’t heard the latter live since the Warning tour in 1984. 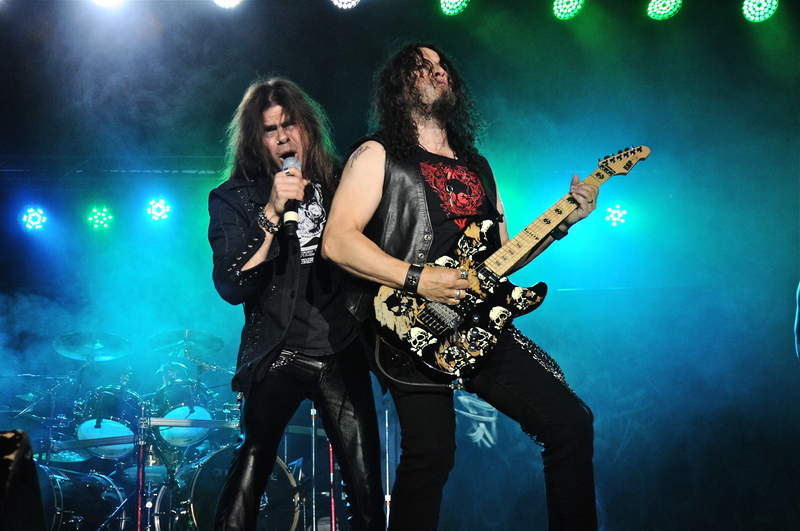 The band also mixed in a few songs from their recently released self-titled album Queensrÿche including a fabulous version of “Where Dreams Go To Die”. Ending the main set was typical closer “Eyes Of A Stranger” from Operation: Mindcrime. Back for no less than a five song encore that featured the big three from Empire in “Jet City Woman”, Silent Lucidity” and closing the deal with the title track. Looking back the real story was how the band played eight songs that were recorded pre-Mindcrime era. The band were able to satisfy their fans both old and new and everything in between. However, this one was geared for the diehards who were only able to dream about a set list like this, until now.